Printing Substrates Cotton, Polyester, Cotton-polyester blends, Linen, Viscose, Leather and more. With TexjetRIP® v7 we have managed to add awesome new features that set the bar of user experience to the next level! A modular software developed from the ground up with great ease of use and increased flexibility in mind. 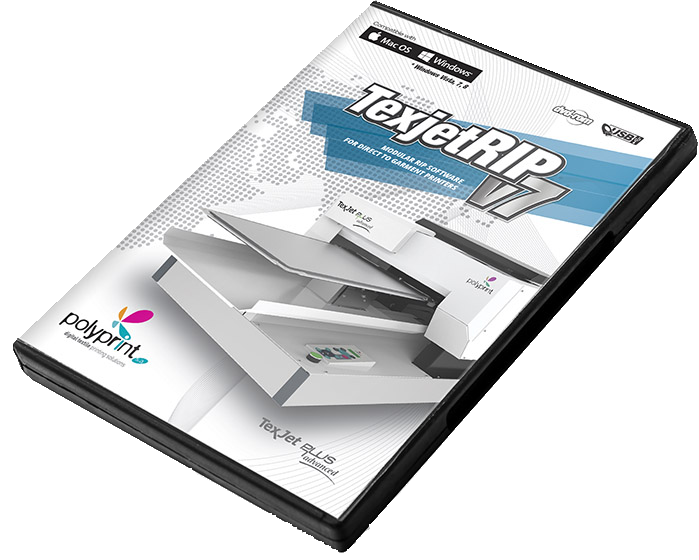 Some of the key-features of version 7 are: New enhanced white mask creation tool – no need of additional editing software like Photoshop, Automatic & manual white mask management, Redesigned interface, Powerful RIP engine resulting in higher function speeds, Single Pass printing of White and Colours at the same time offer amazing speed gain and print.